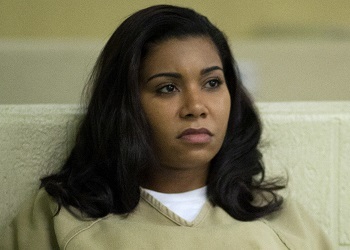 This season of Orange Is The New Black is the best EVER, right? 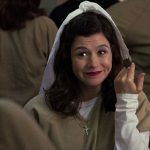 Warning, if you haven’t yet made it through your binge, this post contains spoilers. 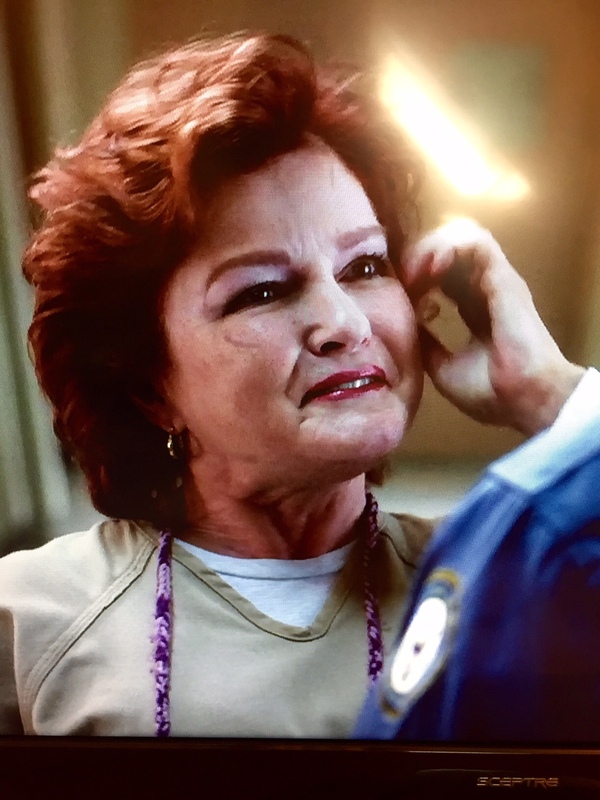 I’ve said it before and I’ll say it again: For a show seemingly about lesbians in jail, the beauty game is STRONG. 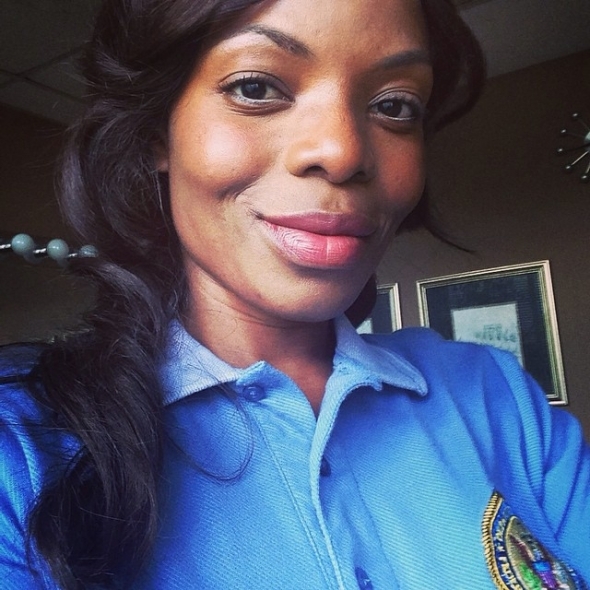 In Season 2, beauty was the currency of the whole enterprise, but in Season 3, beauty still has a large role. 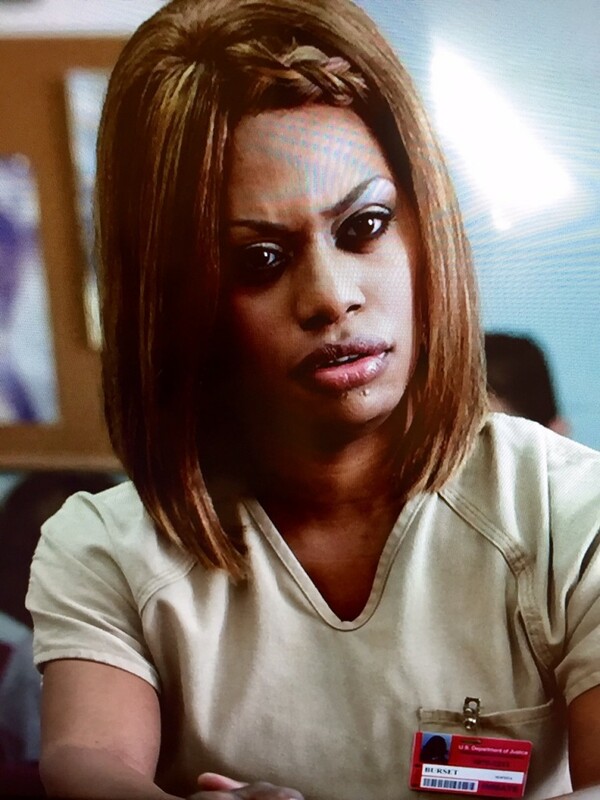 Here, the ten best beauty moments of Orange Is The New Black Season 3. 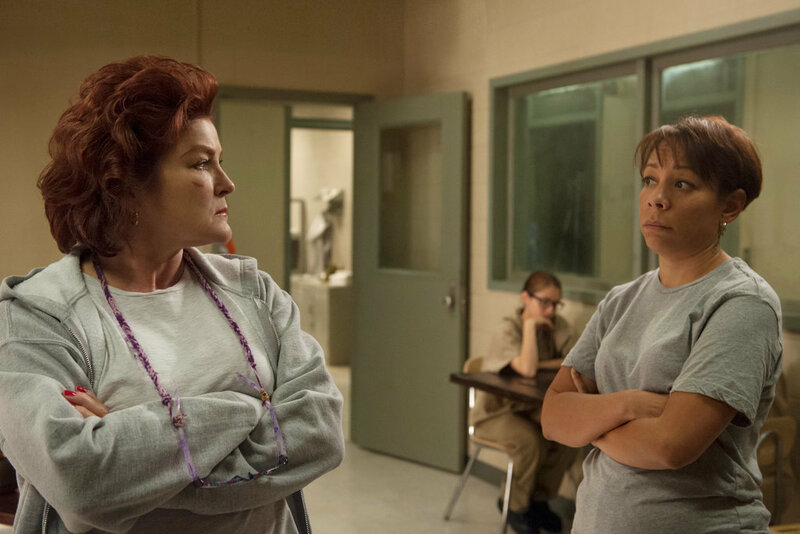 Red and Mendoza‘s conversation about how they’ve had it with men and should probably join Team Lesbian. 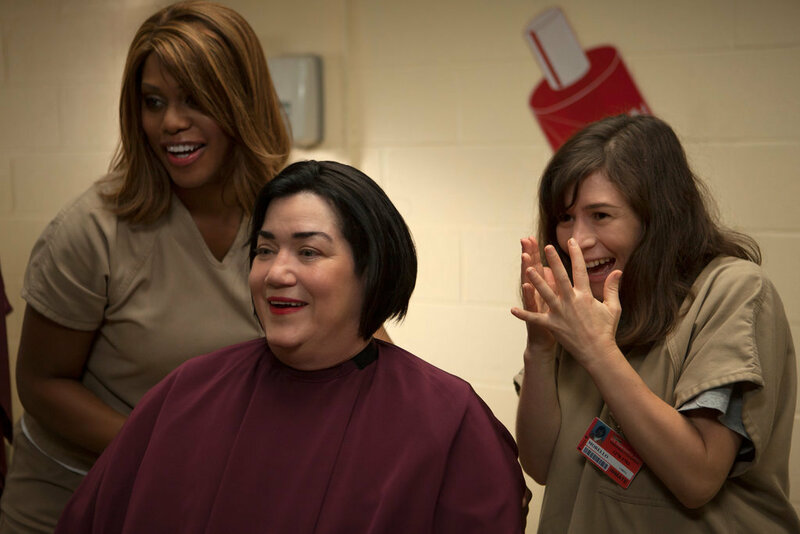 “Well, we have the haircuts,” Mendoza quipped. 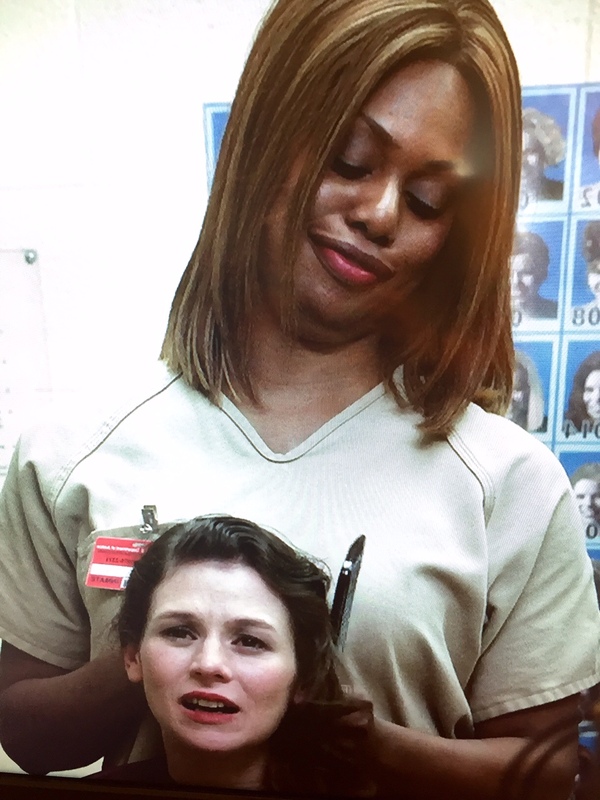 Morello lying about having 4 kids to get an updo from Sophia on Mother’s Day. Maria wants Sophia to give her the same look as last time when her daughter comes to visit because “it’s called object permanence.” “It’s also called boring,” Sophia side-eyes. Bennett’s Gwen Stefani dance party (because it was a thing of beauty). Too bad Bennett had to move to Philadelphia to be a law student. 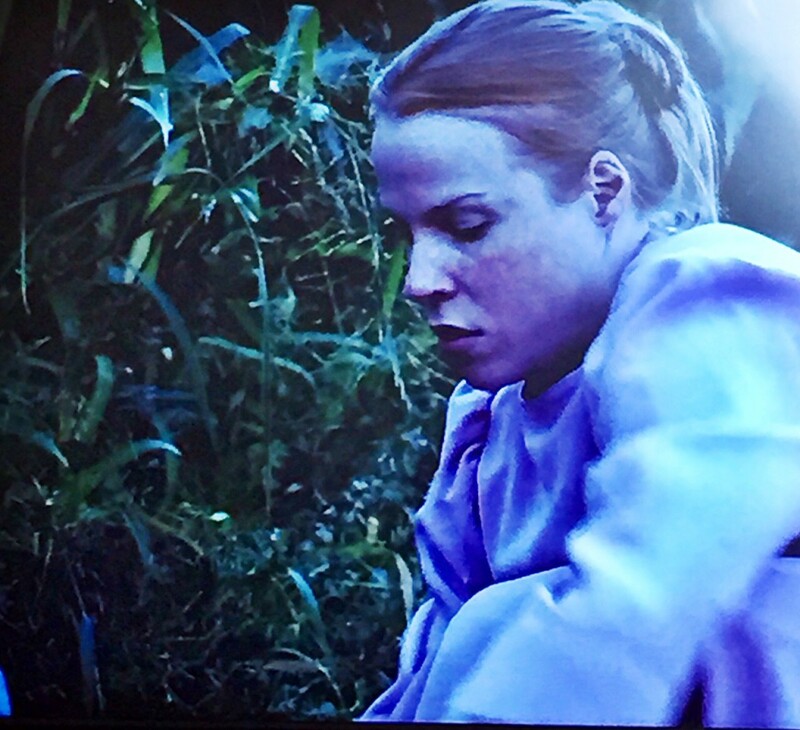 Speaking of Pennsylvania, how about Leanne’s Breaking Amish transformation? 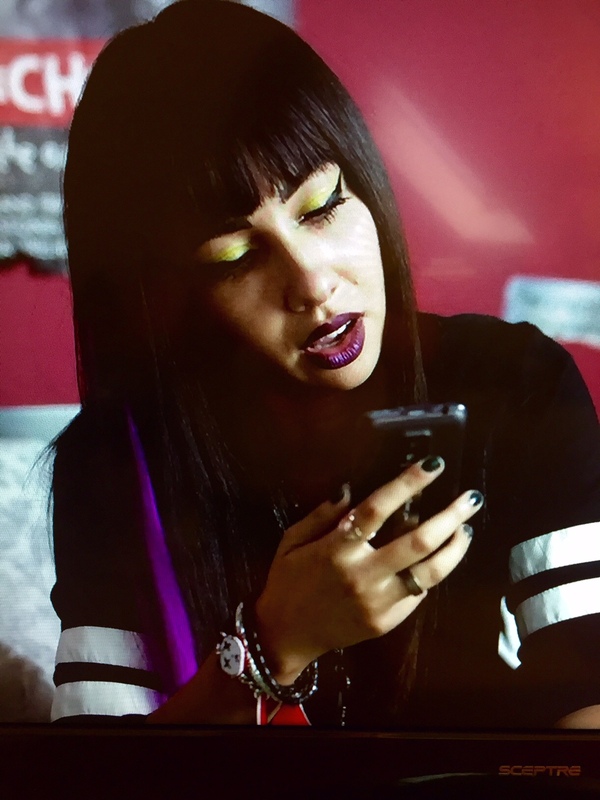 Flaca’s goth gorgeousness in her flashback. Big Boo’s “straight” makeover. It was short lived, but chic, no? What do you think of this season?